The Caskey family has owned this charming Chautauqua Lake home for over 50 years and have made significant improvements to the property since they purchased it in 1962. 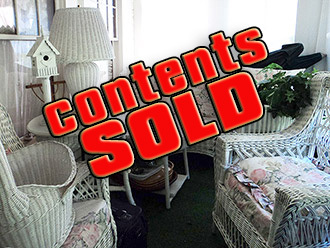 We have been commissioned to sell the Real Estate and a full house of personal property. 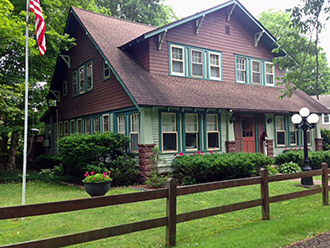 A super opportunity to purchase a premier Chautauqua Lake home( Formerly The Wiillowbrook Inn) w/ deeded lake rights. This spacious 3,040 sq ft seasonal or year a round home features 4 beds, 2 baths, full basement, 2 car garage. Home is situated on a private & scenic corner lot within short walking distance of the Lake, Long Point State Park and the historic village of Bemus Point. Home has a large private deck w/ covered porch, hot tub & creek w/ foot bridge. Address: 4390 Willowbrook (Kent Lane), off Lakeside Dr.
Home Style: 2 story, wd frame, traditional, Williamsberg colors. Lot Size: Irregular, .2 acres. AGE: 1949 w/ many Upgrades. Conveniences: Lake & dock access, walking & bike trails. Terms of Real Estate: $10,000 down payment in cash or check. Property is sold free & clear w/ good & marketable or insurable title, no liens, back taxes or conditions and subject to Owner confirmation and any easements or rights of way. Piano: Mercer spinet, Weaver Piano Co.